Fibromuscular dysplasia (FMD) is a complex disease that is most commonly seen in women, with systemic presentation that may include stenosis, aneurysm or dissection most commonly in the renal and carotid arteries, migraine-like headaches, dizziness, and tinnitus or a swooshing sound in the ears. Low bone density, joint laxity and degenerative disease in the spine also have been linked to the disease. FMD is considered a rare disease; however, it is also believed to be underdiagnosed. Our family has a somewhat twisted sense of humor. Not everybody gets it, some might be slightly offended by it. However, I find it to be a functional coping mechanism in times of need because when faced with a difficult situation, if you look at the darkest side of the moon and find a way to laugh yourself to warmth, that’s a very good thing. I believe I’ve also read in various places about the documented benefits of laughter, so again, I’ll go with the good side of it. I bring this up because we often find humor in Matt’s fibromuscular dysplasia. On the days when he’s not in constant pain or exhausted to the point of a horizontal state, our humor freak flag flies high. If the pain is too much or the fatigue crippling, we cut him a break, walk quietly in the house, turn the lights to dim and wait for his energies to return. We are at least fair in that manner. It’s not just the other family members, Matt shares this sense of humor and often pokes fun at this awful disease that has taken up residence in his body and our home. Not too long after Matt’s stroke and diagnosis my mom and I were discussing the long term effects of FMD. We were stumped, frustrated and the name McStrokey popped out of her mouth. Yes, we’d recently been watching some Grey’s Anatomy. Matt is 6’6’’, he has striking features and his tall, lanky frame wears well in any condition. The name stuck, in an irreverent, sassy way. This year Matt named his fantasy football team the Strokey McStrokes, his icon was a walker. Then there are the oddities of living with a stroke patient. Matt was lucky in that he had care immediately after suffering a severe, stroke-induced seizure. His overt physical side effects are not often noticeable to the outward eye. Inside, of course, he experiences the burning in his limbs, muscles weakness, cramping. Just looking at him, he’s a tall drink of dreamy, seemingly healthy water. But there are times when I’ll find things in really odd places. This morning I found a stinky cricket container that had housed the doomed crickets for the children’s toads, it was in the fridge. I’m sure Matt was headed for the trash but somehow the circuits crossed and there it was next to the milk. I found it, held it up to him and in reply he smirked and pointed to his head. I tossed it in the trash and continued on with the morning. There are the times when our nearly 15-year-old daughter will exploit Matt during his weaker times of the day: late afternoon and early morning. These are the times when she’ll make outlandish requests and then report back to me that her father gave her an affirmative answer. She calls these her Strokey Strikes. I tell her she is a heartless fiend. She laughs and says life is all about strategy. Cassidy is correct, there is a necessary strategy to life. Existing post-stroke, I believe, requires just that. If we were to hunker down and live completely in the grips of fear and dread for the next cycle of FMD ickiness, our lives would be less than colorful. To a certain extent there is always that fear and dread, but by adding some saucy humor we are able to live through the ebb and the flow with a certain amount of grace and respect. Not everybody will get that or appreciate it, but it works for us. Loved this article. Humor has gotten me through so much of what comes with this disease. I'm finding humor as a common thread among my FMD friends. It's really the only way I know of to not go absolutely mad with a disease that morphs from day to day. Glad you enjoyed the post. Keep your chin up and your humor going! FMD Chat encourages comments and discussion; however, please note that use of threatening or profane language and comments that clearly have no relation to the original post will not be tolerated. FMD Chat is a 501c3 organization. Your contribution is tax-deductible to the extent allowed by law. No goods or services will be provided in exchange for your generous financial donation, but you will get a lot of thanks! FMD Chat is a purely volunteer organization. Your continued support affords FMD Chat the opportunity to continue its mission. Based at Sanford Research, a not-for-profit research institution, CoRDS is a centralized international patient registry for all rare diseases. The goal of the CoRDS registry is to connect as many patients and researchers as possible to help advance treatments and cures for rare diseases. 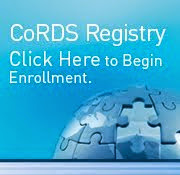 The CoRDS registry is free for patients to enroll and for researchers to access. 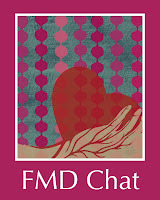 Connect with other FMD patients via FMD Chat and RareConnect. RareConnect was created by EURORDIS (European Rare Disease Organisation) and NORD (National Organization for Rare Disorders) to provide a safe space where individuals and families affected by rare diseases can connect with each other, share vital experiences, and find helpful information and resources. 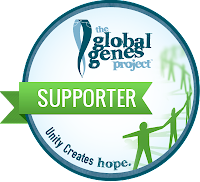 FMD Chat is a proud partner of The Global Genes Project is one of the leading rare and genetic disease patient advocacy organizations in the world. Last updated: Feb. 19, 2017. Copyright FMD Chat 2011-2017. Simple theme. Powered by Blogger.